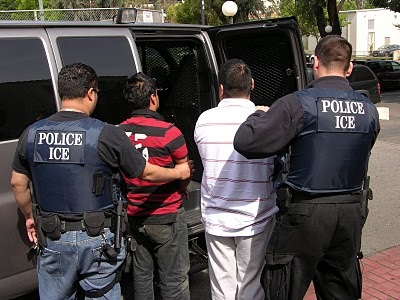 (Reuters) U.S. immigration agents are planning nationwide raids next week to arrest, among others, teenagers who entered the country without guardians and are suspected gang members, in a widening of President Donald Trump’s crackdown on illegal immigrants. Sure, great policy. People who law enforcement knew were gang members and are unlawfully present in the United States, yeah, let’s let them go till they’ve committed a big crime. They aren’t arriving at the border: they’re already here. One also has to wonder how many of these gang members were let in by Team Obama? I bet all the ones scooped up will tell the story about how they were forced in, once they get done talking to the lawyers. In a statement to the news outlet, ICE said that teenagers can be identified in their database as gang members if they meet two or more criteria of gang identifiers, including having gang tattoos, wearing gang apparel or being frequently spotted in an area known for heavy gang activity. The change in policy is likely to be controversial, especially since it targets minors.